Hello friends! Hope you are having a fantastic day, I have been a bit quite around here, sorry about that. I am behind the scenes working on some new projects you will see very soon. Today, I want to show you another picture tutorial I created for eclectic Paperie. I forgot to take few pictures and some didn't turn out good, but I hope you like this one and inspire you to create. Start by covering your canvas with White Acrylic Gesso, set aside to dry, after it dries, paint your canvas with Pool Adirondack Acrylic Paint Dabber. I did it a couple of times, then set aside to dry. After it dries, takes your Mini Chicken Wire Reversed Stencil and your White Embossing paste and add them to the corners. Set aside to dry. Paint the leaves and stems with Moss Green 3D Metallic Stamp Paint , this paint dries super quick. Take your Walnut Brown 3D Metallic Stamp Paint, use your fingers (if you don't mind) and add some paint to the edges and around the embossed parts. Add your circles, leaves, stems to your canvas with seal glue. Take your Faber Castell Black Big Brush pen and define all edges, then add a button to each center flower, Iwent ahead and wrote "hope" with my black marker. Paint a Vintage Wood Bird with Copper 3D Stamp Paint and glue it to canvas. This is final product! I added Gold 3D Stamp Paint to some of the borders, I used my finger since I wanted a rough look. Hope you like it! I would love to read what do you think about this project. Hello friends, it's time for another Heartfelt Creations Alumni Blog Hop!! Just for hopping along and leaving a comment in every participant blog, you have the chance to win a $25 Gift Certificate to the Heartfelt Creations Store!! You have until January 31st at midnight (ET) to leave a comment. This is the project I have for you, on Sunday, I found out about the birthday to a sweet lady who doesn't like to celebrate or even mention about her birthday, so since I didn't have my project all done, I decided to make a birthday card for her, ad although her birthday is on the 31st, I will be giving her this card today since I will be teaching at church, craft night are always fun!! So I based my card on this sketch from Sketchbook Saturday. Cut a panel from White Cardstock 5" x 3.25. Adhere ribbon and lace (from this kit). Stamp the flower center from the Dahlia Bouquet set in Pink ink. Stamp Small Tattered Blossoms flowers on patterned paper, die-cut flowers using coordinated dies. Ink all edges with red ink, mount flowers together and add a red dewdrop on each center. Die-cut a couple of vines from Sweet Juliet Set, adhere them behind the flowers. Adhere flowers to panel and add little bits of Star Dust stickles to some of the petals. Add a couple of score lines to the bottom of front card. Hello friends!! Hope you are having a fantastic day! Today, I want to show you a new card I made using this super cute image from Special Friend stamp set, this is one of the Barkley Everyday Collection sets from Crafter's Companion USA. I love them all!! Make card base from Light Blue Cardstock. A2 size. Cut a piece of patterned paper (4" x 5.25"), ink all edges with Vintage Photo Distress Ink, adhere a piece of Pink Cardstock and add zig-zag stitches. Add panel to card base. Die-cut image with Labels die, sponge inside of image with Tumbled Glass Distress Ink. Die-cut a couple of Madison Doily Dies (Top Dog Dies) in Ultra Smooth Premium White Cardstock. Adhere them behind image and add it to card with dimensionals. 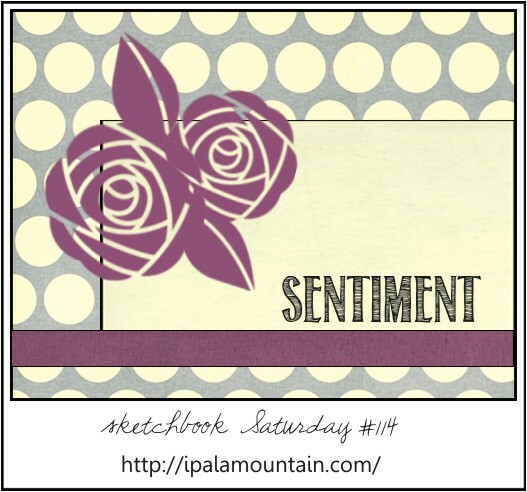 Stamp sentiment, add it to card. Finally, add little dots of Star Dust Stickles to flowers. Spanish post alert!! This is a Valentine Blog Hop!! 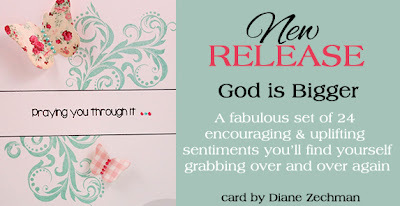 You are welcome to hop along and leave a comment for your chance to win a nice Card Kit!! 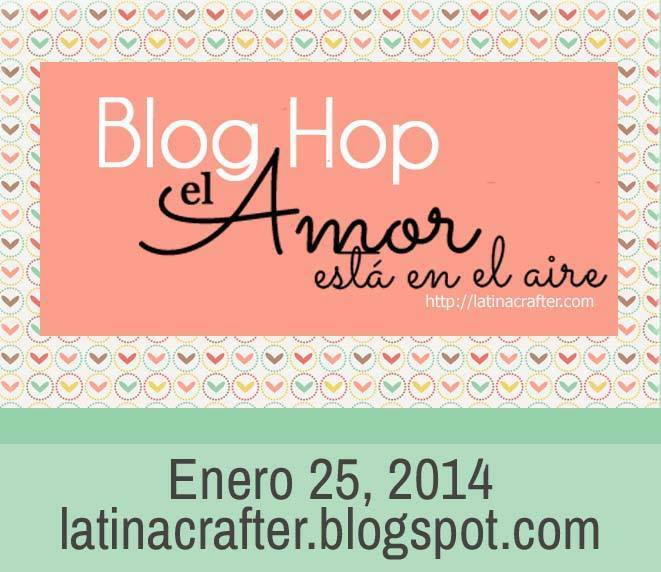 El Equipo de Diseño del Latina Crafter les invita a disfrutar de nuestro primer blog hop del año 2014 "El Amor está en el aire", con muchas ideas y proyectos inspiradores para todas ustedes. No se olviden de dejar sus comentarios en todos los blog, al final elegiremos una ganadora via random y la afortunada recibirá un lindo "Kit". Para esta oportunidad, les he preparado una tarjetita bastante sencilla, pero con mucho detalle, inspirada en este tutorial con un poquito de mi propia inspiración. Coratr un pedazo de cartulina blanca, 9" x 4.5", doblarla en la mitad y tenemos nuestra tarjeta base de 4.5". Cortar un pedazo de cartulina de dimensiones 3.75" x 3.75", cubrir la pieza con tape. Cortar tiras de papel, aprox 0.5" y agregarlo al pedazo de cartulina en la dirección deseada. Cortar los excesos de papel. Die-cut la palabra Amor, die-cut un extra con cartulina blanca, colocar la pieza, agregar los pedacitos de las letras "A" y "o" de Amor del primer die-cut. Die-cut coranzocitos en cartulina roja y agregarlos con dimensionales. 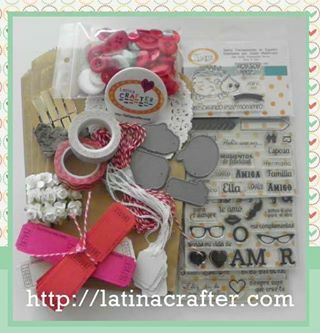 Agregar ribbon o cinta y twine. Agregarlo a la base de tarjeta. Hello friends! Today I have a very cute Valentine card using my new "Valentine Critters" set! Anytime I look at this set, I smile :) I think all the images in this set are adorable. This card is super clean and simple, yet cute! I stamped the elephant image on a piece of White Cardstock and colored it with Spectrum Noir Markers: DGR1,3,6; GG1,2,3,5; BGR1,2,3; FS5. Then I stamped the sentiment in Jet Black Archival ink and added a piece of chevron patterned paper, added zig-zag stitches. Die-cut a tiny heart and added it with dimensionals. Finally I added Crystal lacquer to the heart balloons and sprinkle clear glitter. After that was dried, I added the panel to a red card base. Hello friends! Hope you are starting a great week, today I have this cute bunny card using Bebunni Peek-A-Boo Set from the Bebunni Collection. I made my card pretty pink-y girl-y style, LOL. Make card base from Pink Textured cardstock. Top folded. 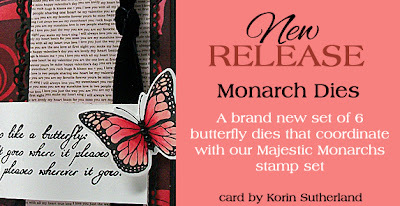 Card size 5" x 6"
Stamp image on Ultra Smooth Premium White Cardstock in Memento Tuxedo Black Ink. Mat stamp piece with Pink and Red Cardstock, add straight stitches. Add 3D Crystal Lacquer to balloon and ribbon, sprinkle clear glitter and set aside to dry. Create a big bow and adhere it to card. Hello everyone! Hope you are having a great day! The germs have visited this residence and we are feeling a bit sick, so since I don't have anything new, I want to share a tutorial I made few weeks ago for eclectic Paperie. This technique is fun!! Start with a piece of Distress Watercolor, stamp Joy image (by Catherine Scanlon) in Versamark Watermark ink, apply Seafoam White embossing powder over image and heat set. Mix Acqua Dolce & Banana Gelatos to create a green color, spread all over the leaves, color the center of the image with Banana Gelato. With the help of a baby wipe, remove excess. Add Gold Gelatos to all the image edges. After that, spray the whole piece with Sunflower Sparkle Perfect Pearls Mists, set to dry, your piece will shimmer beautifully! Create a dot background, apply White embossing paste using Fancy Pants Dots Stencil. This is a very fun part! I wanted a match ribbon for my project, but any of the ribbon I own matched this project, so I decided to create my own!! Super easy! Color your ribbon with your Blood Orange Gelato, as much or as little you want, then spray your ribbon with Sunflower Sparkle Perfect Pearls Mist! Click on the picture so you can see all the beautiful shimmery ribbon!! This is the final result, I put all the pieces together, created a triple bow and added pearls to the flowers! I really love how vibrant these colors are together! 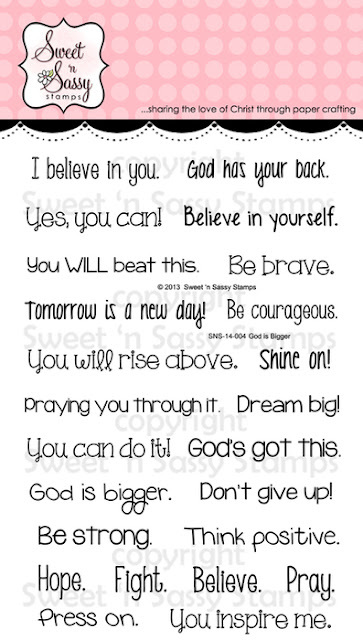 Simons Says Wednesday Challenge: Emboss it. Hello friends!! Hope you all are having a great day! Today, I want to show you another mixed media project I created yesterday, this time they are inserts for my Z Becky Brown bag. For this bag I used Ziva Windsor Blue inserts, added Gold Ferro Metallic Effect Paint randomly, set aside to dry, After few minutes I painted the inserts withPool Acrylic Paint (Ranger) and Twinkling H2O -Olive Vine, then masked the inserts with a Ranger Swirl Mask. Finally I stenciled flowers using Embossing Paste, colored the flowers with paint and let it dry. These inserts were made in about 2 hours, so if I can do it, you can too!! Did I mention that mixed media/coloring/painting is so relaxing? I love it!! Hope you like it as well!! Welcome to day 5 of our January feature Blog Hops! Dies range from approximately 3/4" x 1" to approximately 2.25" x 2.75"
This is a mini canvas, size 3" x 3"! I enjoyed creating this little piece of mixed media. Actually, this mini canvas was a "bad piece" I made few months ago, I was getting ready to toss it, glad I didn't. Cover your canvas with a layer or two of gesso. After it dried, paint it with Pool Acrylic Paint (Ranger), set aside to dry. Stamp butterflies in Coffee and Sepia Archival ink. Stencil your piece with gold and white paint, here I used Mini Chicken Wire stencil. Add a piece of Adhesive Lace. Die-cut butterflies, stamp coordinated butterflies in Coffee Archival Ink, stamp sayings from Vintage Seed Packet set in Sepia Archival Ink, then sponge butterflies with Distress Inks (Antique Linen, Mustard Seed, Wild Honey). Cover your butterflies with VersaMark Ink, and add at least 3 layers of UTEE (Ultra Thick Embossing Enamel), you are going to get a very nice glossy and smooth result. Love it!! Add butterflies to canvas (I used my heat glue gun). 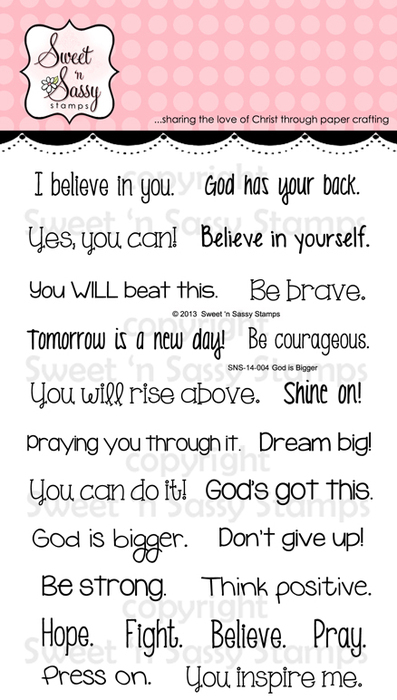 Stamp sentiment from "God is Bigger" set, cut sides, ink all edges and adhere it to canvas. Be sure to leave a comment of each of the blogs along your journey because we're giving away (5) $15 store credits (1 winner will be chosen from each of the 5 blog hops). The deadline to comment for a chance to win is midnight EST Friday, January 17th. The list of winners will be announced on our website homepage by Monday, January, 20th. Hello friends! My second post for today, it's because I have exciting news to share!! I am part of the new Top Dog Dies Design Team!! The official announcement was made yesterday and you can found it HERE. I really wanted to share it yesterday, but I was not feeling well, but today it's a new day and I am feeling much better. Also, I want to share a couple of cards I made using Top Dog Dies! For this card I used Heart Doily Die and the little hearts are from Heart Mini Album Finishers. Stay tuned!! Soon, I will be sharing more projects!! Welcome to day 4 of our January feature Blog Hops! Longest sentiment measures approximately 2/8" x 2.5"
This is the project I created with this set. I got inspired by the first challenge from The Card Concept! This time is a Color challenge: Kraft, Pink, Vanilla & Espresso. Make card base from Vanilla Cardstock. A2 size. Cut a panel from Kraft Cardstock (3.75" x 5"), cut a piece of Vanilla cardstock about 1/8" smaller than kraft piece. Add a piece of Patterned paper (From The Avenues Collection by Bo Bunny), add lace and add stitches. Die-cut a stitched label in Kraft Cardstock, cut top part, stamp sentiment in Coffee Archival Ink. Add label to panel and add zig-zag stitches. Add Paper flower, hemp and rhinestones. Hello friends! A second post today, this time showing you a cute Valentine's card using this cute stamp set "Just Because" from the Popcorn The Bear Collection. Create a card base from Green texture Cardstock. Emboss front of card with Regal Damask Embossing folder, sand the paper to reveal some of the white core from the cardstock. Die-cut a heart shape and stamp sentiment. Adhere red cardstock behind image and add zig-zag stitches. Add panel to card base with dimensionals. Add 3D Crystal Lacquer to bow and roses. Set aside to dry. Final card size: 5.25" x 5.5"
Top Dog Dies Giveaway Winner!! 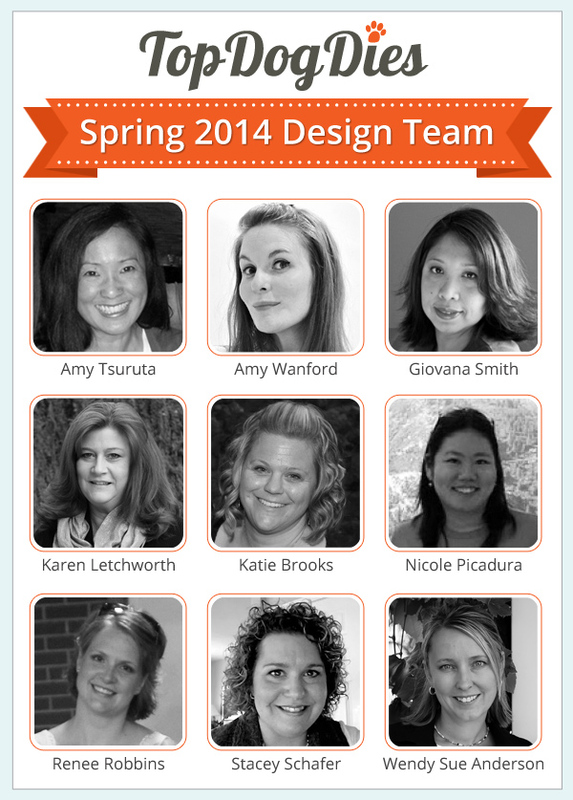 Seasons Giving Blog Hop Winner!! 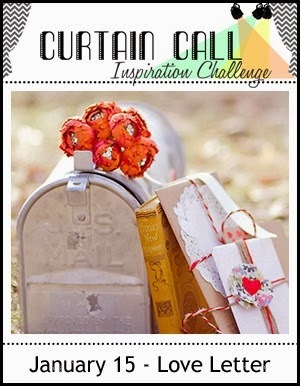 Winner from Heartfelt Creations Blog Hop!! Top Dog Dies Guest Designer and a Giveaway! !